Nominations will be accepted online from Monday (Feb. 2) through Feb. 23. Hundreds of faculty members receive nominations for the award every year; in past years, the selection committee has seen more than half of the professors at SHSU receive at least one student nomination, according to Excellence in Teaching committee chair Bala Maniam. This shows both SHSU professors’ commitment to teaching, as well as the quality of teachers SHSU offers, he said. “Serving on this committee makes you feel good about your colleagues. I enjoy listening to my colleagues in different departments and colleges teach their students with such passion and dedication,” said Maniam. Nominees must be full-time faculty members, including program coordinators; however, previous award winners may not be nominated. The award winner is selected from among the nominations by a committee of faculty appointed by the president. The winner will receive a $5,000 stipend. Past winners include: William Abbott, Elizabeth Andrews, Gary Bell, Kimberly Bell, Harry Bohan, David Burris, Charles Capps, Adrian Cooley, Richard Cording, Caroline Crimm, Earline Dolive, Jerry Dowling, Frances Elmer, Coralie Emmons, Frank Fair, William Fleming, Gaddis Geeslin, David Gerling, Kenneth Hendrickson, John Holcombe, Rita Huff, Virginia Irvin, William Jasper, James Johnson and Stanley Kelley. Also, Doug Krienke, Bobby Lane, Bala Maniam, Joyce McCauley, Valerie Muehsam, Thom Murray, John Newbold, Mary Ann Nolteriek, James Olson, Mary Frances Park, Phillip Parotti, Ralph Pease, Wayland Pilcher, Mozelle Powell, Debra Price, Daniel Reeves, Marcus Rigby, Carol Sangster, John Snelgrove, Sam Souryal, Victor Sower, Donald L. Stalling, Susannah Ural, Bill Waldron, Laverne Warner, Maynard Yoes and Stacy Ulbig. Nominations may be made online here for students, faculty and staff; and here for alumni. Troy Schaudt, a representative from Wolfram Research Inc. will meet with students, faculty and staff to introduce the latest update of Mathematica, a software package for solving mathematical equations on Monday (Feb. 9). “Mathematica 10 in education and research” will be held from 3:30-4:30 p.m.in the Lowman Student Center Room 315. This talk will illustrate capabilities in Mathematica 10 and other Wolfram technologies that are directly applicable for use in teaching and research on campus. Any member of the campus community who is regularly engaged in quantitative analysis may benefit from the presentation, including experienced users who are interested in picking up new tricks, as well as novice users who are evaluating potential uses for Mathematica. “Proficiency in the use of Mathematica is likely to have positive impacts on the efficacy of research, the optimization of instruction, and the efficiency of problem solving,” said Walker. For more information, contact the SHSU Department of Physics at 936.294.1601. James Forest, professor and director of the security studies program at the University of Massachusetts Lowell, is an expert on terrorism and national security. He will discuss "Apocalypse Not: The Limited Threat of Terrorism with Weapons of Mass Destruction" on Friday (Feb. 6) for the College of Criminal Justice’s Beto Chair Lecture from 9:30-11 a.m. in the Criminal Justice Center’s Hazel B. Kerper Courtroom. Forest is a senior fellow with the Joint Operations University, where he conducts research on emerging terrorist threats, insurgencies, transnational criminal networks and U.S. Special Forces training. Before joining the university, Forest was the director of terrorism studies at the United States Military Academy, where he taught courses on international relations, terrorism, counterterrorism, information warfare, comparative politics, and sub-Saharan Africa. He also directed research initiatives and education programs for the Combating Terrorism Center at West Point, covering topics in terrorist recruitment, training, and organizational knowledge transfer. He received several Army civilian service awards during his tenure. Forest was selected by the Center for American Progress and Foreign Policy as one of “America’s most esteemed terrorism and national security experts” and participated in its annual terrorism index studies from 2006 to 2011. He also testified before congressional hearings, served as an expert witness for terrorism-related court cases and was interviewed by many television, newspaper and radio journalists in the U.S. and other countries. Every Wednesday, individuals are encouraged to wear red to celebrate heart health awareness month. Tables will be located across campus, providing information on heart health and giving students the opportunity to win “I love my heart” shirts by playing games and completing activities. In keeping with the theme of heart health, students, faculty and staff are invited to meet at the steps of the Lowman Student Center every weekday at noon for a 30-minute healthy walk around campus that is approximately a mile and a half long. During inclement weather, the group will meet at entrance 19 of the Bernard G. Johnson Coliseum. The Student Health Center will host “Life Skills 101” every Wednesday from 3-5 p.m. in the Lowman Student Center Room 327. These presentations aim to teach students about real-life skills that will help prepare them for an independent future. These skills include credit cards and credit scores, personal safety and ID theft prevention, and eating healthy on a budget. A screening of the documentary “Honor Diaries” will be held Monday (Feb. 23) in the Lowman Student Center Room 110 at 3 p.m. “Honor Diaries” is a film about women’s rights that features nine courageous women’s rights advocates with connections to Muslim-majority societies. A discussion will follow the film detailing what can be done to support women’s rights internationally. Admission to these events is free with an active BearkatOne card. For more information on any of these events, contact Lisa Clarkson, health and wellness education programming coordinator, at 936.294.4347. Sam Houston State University’s Career Services will give students and alumni who are interested in entering the fields of agricultural sciences, engineering technology, biological sciences, computer science geology and geography, and mathematics–statistics and physics the opportunity to meet and network with more than 40 organizations at a career fair on Thursday (Feb. 5). Representatives from those ASET-STEM organizations will be on hand to discuss full-time and part-time jobs as well as internships from 10 a.m. to 2 p.m. in the Lowman Student Center Ballroom. Among the companies that will be represented are Texas Parks and Wildlife; Sogeti USA; MW Builders; Alpha and Omega Services; City of Houston, Department of Public Works and Engineering; CGI; ConocoPhillips; Corrections Software; and more. Students who are registered on Jobs for Kats can get a jumpstart on finding a job or internship by logging on, at JobsforKats.com, to find to find a complete list of participating agencies as well as the positions for which they are recruiting. For more information or to set up an appointment for resume critiquing, contact Career Services at 936.294.1713. 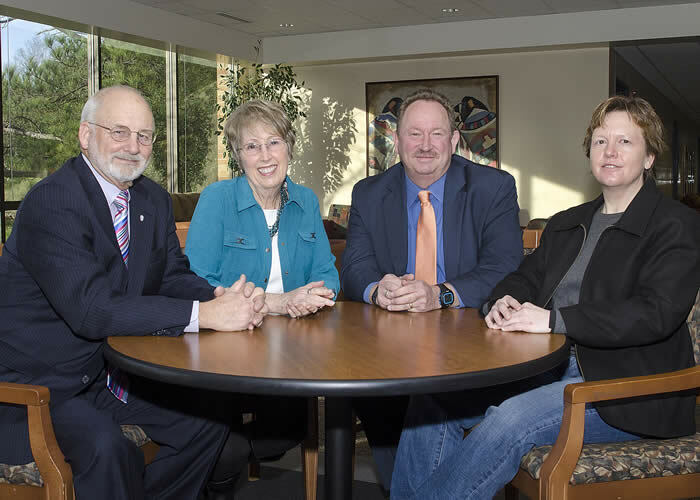 The Sam Houston State University School of Music will hold the final round of its inaugural Concerto Competition on Tuesday (Feb. 3) at 7 p.m. in Payne Concert Hall in the Gaertner Performing Arts Center. SHSU students who enrolled for private lessons for the 2014-15 academic year will compete for cash prizes and solo performance opportunities with the SHSU Symphony Orchestra and Wind Ensemble. This year’s finalists, selected after preliminary rounds in their instrumental areas, are: Pablo Martinez and Mihai Vatca, piano; Carmen Abelson and Andres Bravo, violin; Travis Urban, viola; Sara Bravo, cello; Brenden Johnson, saxophone; Melodie Larsen, horn; Ramsey Hampton and Raphael Laran, trombone; and Luis Blas, Kaitlin Knight, and Nathan Wood, euphonium trio. The guest judges for the competition will be Tali Morgulis, piano professor at the University of Houston; Robert Atherholt, principal oboe in the Houston Symphony and professor at Rice University; and Anthony Kitai, cellist in the Houston Symphony and professor at the University of Houston. As music has transformed through the centuries, so have the instruments used to create music. Guest artist Ernst Schlader will join SHSU assistant professor of musicology Mario Aschauer, SHSU voice instructor Melissa Givens, and the SHSU Early Music Ensemble on Tuesday (Feb. 5) at 7:30 p.m. in the Gaertner Performing Arts Center Recital Hall to perform 18th century music using replications of historical instruments. Schlader, a trained instrument maker, has helped reconstruct dozens of historical clarinets, basset horns and chalumeaux. He and Aschauer will use replicated instruments to recreate the sound of the compositions as the composers intended. The recital will consist of various clarinet, horn and piano works by Franz Schubert, Wolfgang Amadeus Mozart, Ludwig van Beethoven, and Valentin Rathgeber. “This recital will give the audience the unique opportunity to hear the sounds of the clarinet that Mozart, Beethoven and Schubert composed for,” said Aschauer. “Dr. Schlader's basset clarinet, reconstructed from a late 18th-century picture, is highly interesting. It is the instrument that Mozart composed his famous clarinet concerto for. “The concert will also provide the first look at the newly founded SHSU Early Music Ensemble, which is part of the new Center for Early Music Research and Performance,” said Aschauer. Tickets for the recital are $15 for general admission, $12 for senior citizens and $5 for SHSU students. Schlader also will lead a master class on Feb. 6 at 2 p.m. in the Gaertner Performing Arts Center Concert Hall, during which he will introduce clarinet students to the playing styles of the 18th century and present historical instruments. Admission to this class is free. According to the National Coalition Against Domestic Violence, 25 percent of college-aged women will experience sexual assault by the time they graduate college, and 21 percent of college-aged women experience dating violence from their partner. 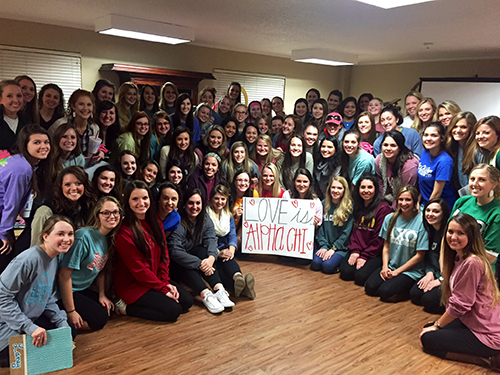 Alpha Chi Omega will host “Healthy Relationships Week” from Feb. 9-13 to help educate students about healthy relationships. Throughout the week, members of Alpha Chi Omega will be in the Lowman Student Center Mall Area selling shirts to benefit the Sexual Assault and Abuse Free Environment House in Huntsville. They will also pass out koozies, pencils, and lollipops promoting healthy relationships. On Monday (Feb. 9) a speaker from the SHSU Psychological Services Center will meet with members of Alpha Chi Omega to educate them on characteristics of healthy relationships and how to recognize signs of unhealthy relationships. On Tuesday (Feb. 10) Alpha Chi Omega will encourage students, faculty and staff, as well as other members of the community, to wear orange to promote love, respect and healthy relationships. Members will pass out ribbons in the LSC Mall Area from 10 a.m. to 2 p.m.
“Our goal is to promote awareness about healthy relationships, as well as love and respect, all of which are important in the relationships that students form when they are in college,” said MacCurdy. For more information, contact MacCurdy at kmm095@shsu.edu. In the wake of the financial crisis of 2008, many police agencies across the country began looking at effective ways to cut costs and maintain services in their departments. 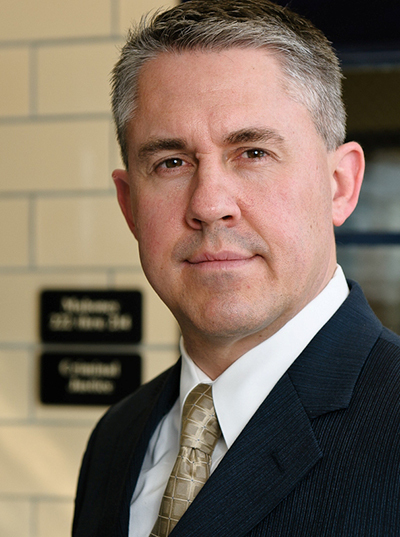 William King, associate dean for research and program development at Sam Houston State University’s College of Criminal Justice, has investigated the use of civilian employees in policing, in collaboration with Jeremy M. Wilson, professor of criminal justice at the University of Michigan. As of 2008, one-third of full-time staff at police agencies in the U.S. were civilians. Among the duties they handle are clerical; dispatch; first responder to non-violent calls; crime scene and forensic personnel; crime victim services; analysts, researchers and planners; community liaison and public information officers; and command staff and strategic leaders. Civilians offer a number of benefits to police agencies, including lowering costs; freeing up officers for patrol or investigating cases; providing specialized skills or training; improving community relations; and allowing greater flexibility in personnel assignments. But hiring civilians also may raise concerns among police unions for taking away desk positions often reserved for sick or injured officers or among the rank and file over fears of compromising sensitive information, interfering with officer discretion, and disrupting operations, according to King. For police agencies considering the addition of civil employees, King recommends talking to other agencies that have implemented the practice or to follow guidelines for administering successful plans. Among these are assessing the types of positions being considered; determining the true costs and benefits for the agency; building support among key constituents in the department; developing a training plan for civilian employees; establishing performance assessments for civilian workers; and setting procedures for demoting, firing or handling grievances by or against civilian employees. The report was conducted as part of Michigan State University’s Program on Police Consolidation and Shared Services, launched to provide independent information and objective research for police agencies to address these tough issues. The study was funded by the U.S. Department of Justice’s Office of Community Oriented Police Services. “The Program on Police Consolidation and Shared Services at Michigan State University is an innovative resource for police executives and local administrators,” King said. The report, “Police Consolidation: Integrating Civilian Staff into Police Agencies,” is available online here.